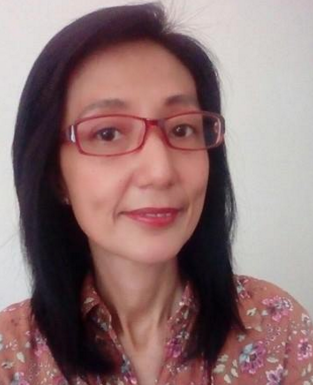 Consider me a "suki" when it comes to thyroid scans, TSH-T3-T4 blood tests. I have it every 3-4 years since 2000. 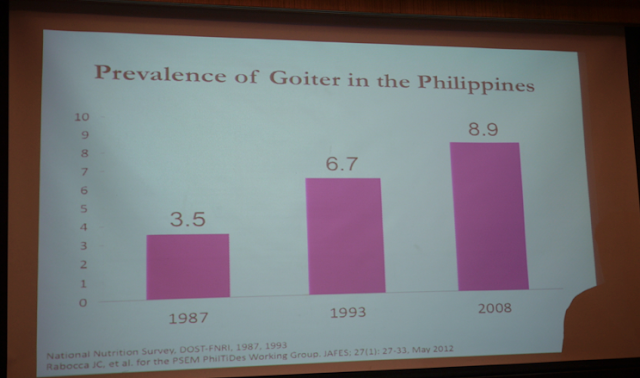 I think I also subjected myself to a thyroid uptake, wherein I swallowed a substance containing radioactive iodine. The kids were still small back then, and I remembered vividly, that I was instructed not to go near the kids for a couple of hours after my intake of the substance. I told my kids "mama is radioactive girl for a while. when my radioactive powers subside, then you can go near me na"! Aside from being a certified hypochondriac, my constant weight loss is one of the many reasons why I like my thyroid to be regularly checked up. My last blood test was 3 years ago... and the result were all normal. But then again, I read (oh yes, googling symptoms of varied illnesses is also a hobby) that even though certain people have normal TSH-T3-T4 results, their bodies may still react negatively to the normal numbers. In short what is normal for a huge part of the population, may not be normal to me at all. 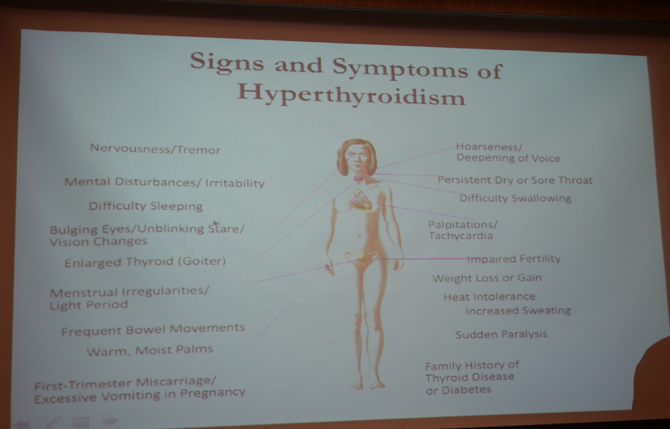 So again.... the fear of having Hyperthyroidism lurks behind my head. Did you know that according to a study by the Philippine Society of Endocrinology, Diabetes and Metabolism in 2012, one in 11 Filipino adults has goiter, and around one in 12 Filipino adults suffers from some form of thyroid disorders? 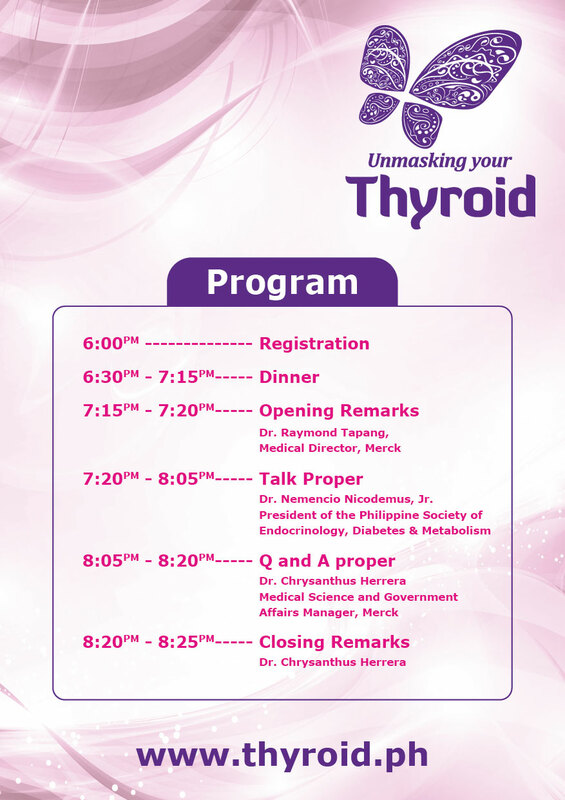 Millions of Filipinos are affected by problems with their thyroid, yet awareness of this disease is very low. The symptoms of thyroid disorders are often mistaken for other diseases, or worse, are ignored by patients with the disease. 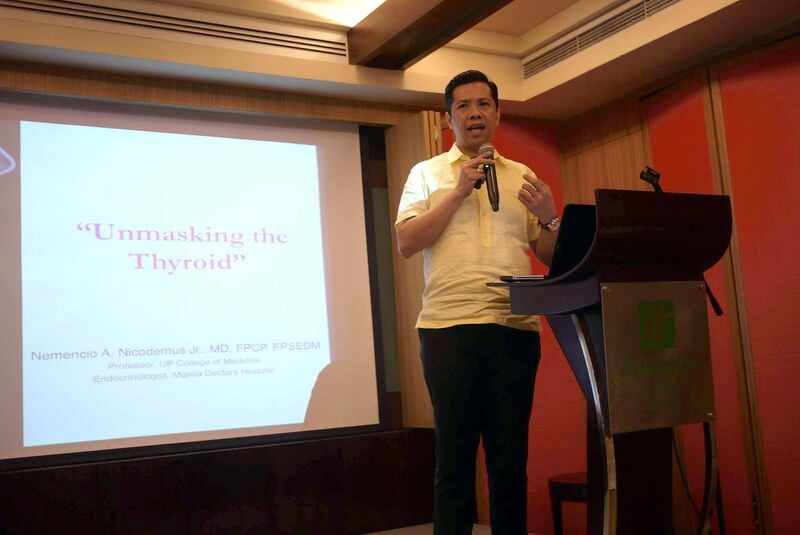 Dr. Nemencio Nicodemus, Jr., who is the President of the Philippine Society of Endocrinology, Diabetes, and Metabolism, as well as a Professor in the UP College of Medicine and the Ateneo School of Medicine and Public Health, gave an informative talk on what the thyroid is, as well as the symptoms of thyroid disease. It is a butterfly-shaped organ located in the base of your neck. It releases hormones that control metabolism - the way your body uses energy. The thyroid's hormones regulate vital body functions like breathing, heart rate, body weight, menstrual cycle, body temperature, reproduction and many more! That's how important it is. 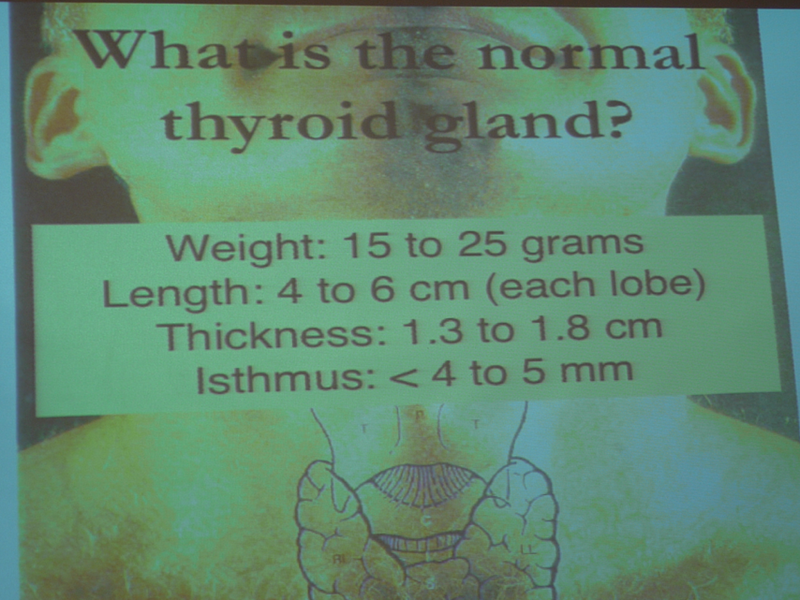 An enlargement of the thyroid gland for no reason. 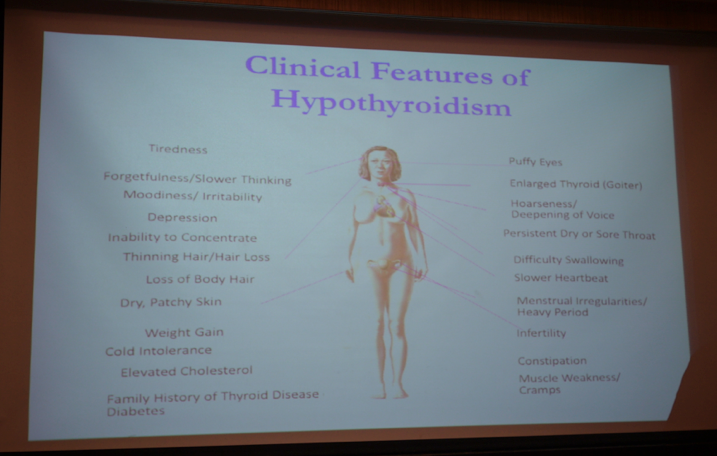 WHAT IS HYPOTHYROIDISM AND HYPERTHYROIDISM? Patients with hypothyroidism, or too little thyroid hormone, tend to have slower metabolism: they gain weight despite not eating much, move and speak slowly, feel tired and have depressed thoughts, cannot tolerate cold, and have irregular menstrual periods. On the other hand, patients with hyperthyroidism, or too much thyroid hormone, will have hyperactive metabolism: they lose weight despite having good appetite, have heart palpitations, irritable thoughts and insomnia, have sweating and heat intolerance, and can have tremors in their hands. Consult the doctor. He will do a physical examination of the neck. Then he might require blood tests or ultrasound if he suspects a thyroid disorder. Worst case scenario -- a needle biopsy of the thyroid gland if there are nodules or possible cancer. But hey... it pays to catch any abnormalities during the early stage right? There are a lot of people who may have thyroid disorders, but aren’t even aware until it is too late. It is important to have one’s thyroid checked as early as possible, especially if there is family history of the disease, or during pregnancy. Prevention, proper information and early detection will always be better than cure that comes too late. 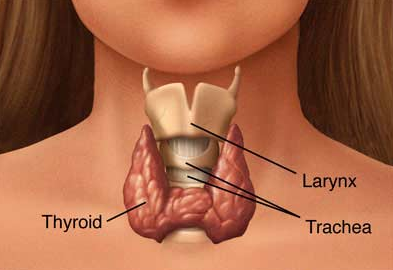 IODINE CAN PREVENT THYROID DISORDERS. SO HOW MUCH IODINE DO WE NEED PER DAY? To illustrate, Dr. Nicodemus said, we need 2 medium pieces of crab; or 1/2 cup shelled kuhol; or 1/2 cup shelled shrimp; or 2 1/4 pieces pusit. Or we can get our daily iodine intake through Iodized Salt. It is also interesting to know that starting this year, the fourth week of September is declared as National Thyroid Cancer Awareness Week. As for myself... I went home happy because most of the questions in my mind were answered. I was also glad to know that if I have further questions regarding thyroid problems... there is a website that I can browse -- www.thyroid.ph. This is an online repository of information where people can learn more about thyroid disorders. 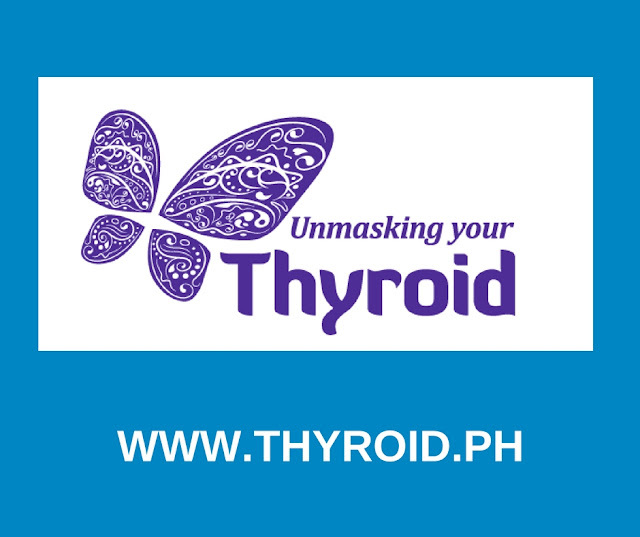 The website also contains useful guides which can help people check themselves for symptoms of thyroid disorders, such as goiter, hyperthyroidism, or hypothyroidism.